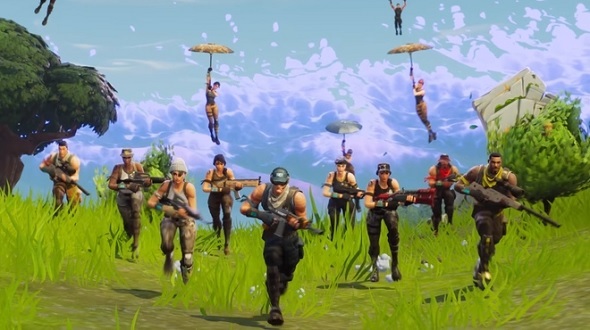 Fortnite’s 50v50 mode is live now, after being delayed by a week due to server downtime. 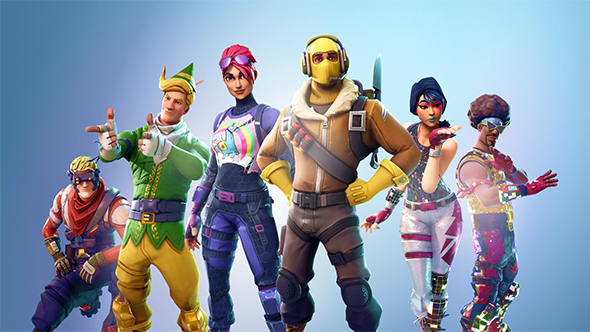 We’ve seen this mode before, but there are some big changes this time around. Check out our top tips for a Victory Royale in Fortnite. Firstly, there are two battle buses – one for each team of 50 players. Your team has a blue-outlined bus, while the enemy’s is red. The two buses enter the map from opposite directions. The final storm is also visible on the map from the very start, meaning players have only ten minutes to loot the map, five minutes to fight, and five minutes before the storm shrinks to the end. In addition, there are battle lines drawn between the two teams. There are also more supply drops. These come in batches of three to six, falling every two minutes, but they will only land in the final storm circle – if you’re brave enough to venture for them. Additionally, there are big changes to the amount of loot and resources you can farm. Farming resources have been increased by 75%, while floor loot has a 15% more chance of spawning. However, floor loot ammo, supply drop ammo, and chest spawn ammo (and consumables) have been doubled. While, ammo boxes give a whopping triple ammo. Supply drops will also give you an extra consumable, resource drop, and trap. It’s definitely going to be intense. You can check out the full list of patch notes here.